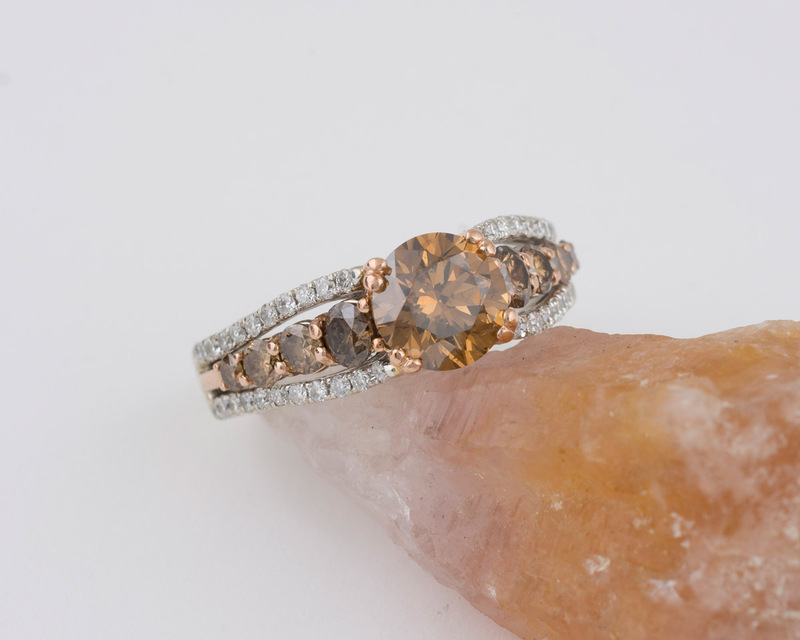 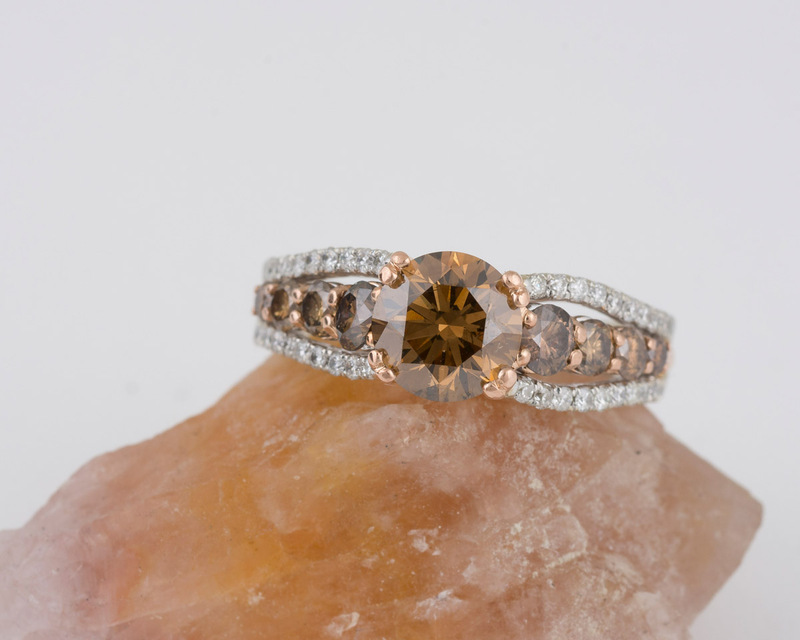 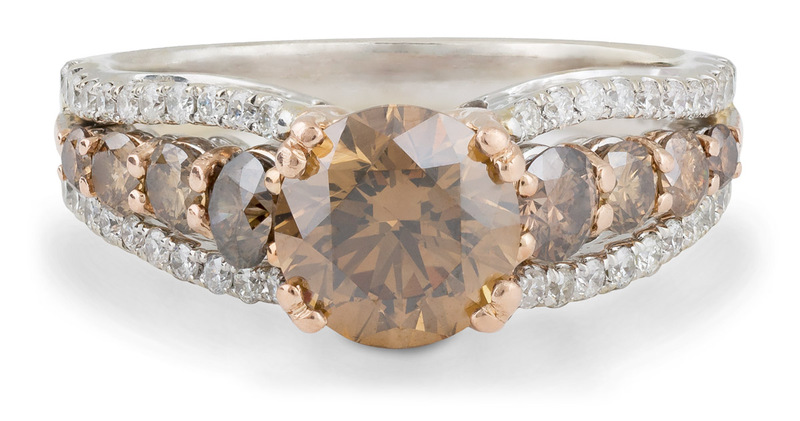 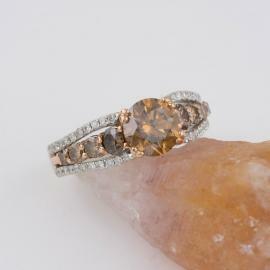 This beautiful two-tone ring has a chocolate diamond center, with chocolate diamond accents, decreasing in size as they descend down either side of the shank. 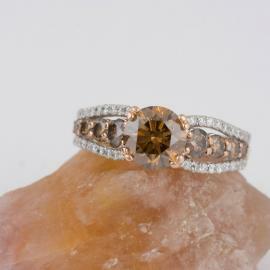 Bordering the chocolate diamonds are rows of glittering white diamonds. 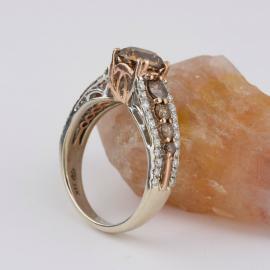 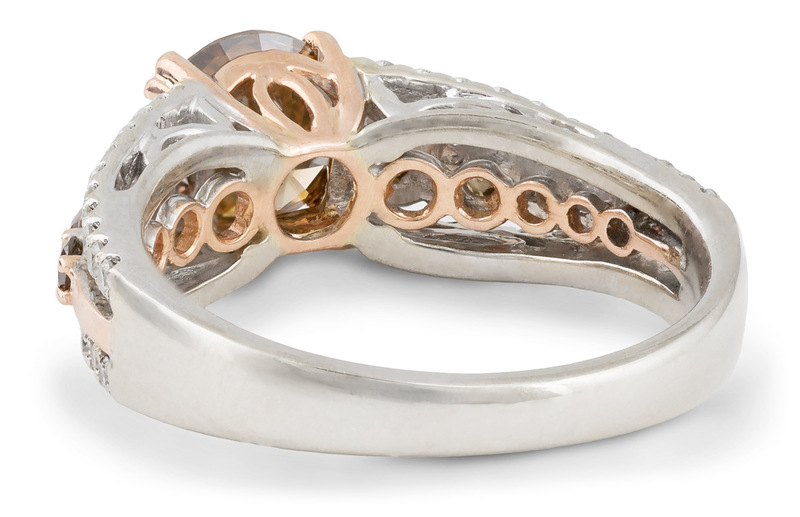 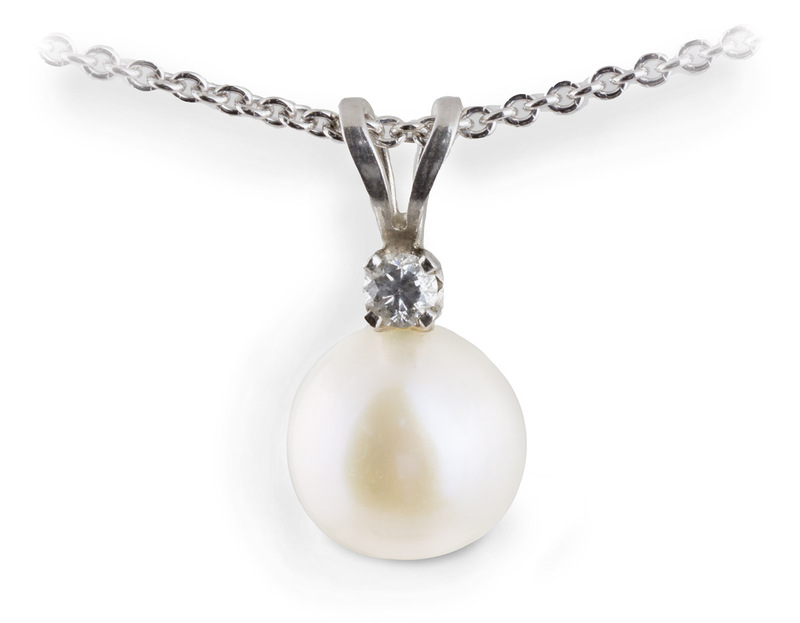 The delicate filigree design in the sides of the shank, beneath the central mounting, adds a note of elegance. 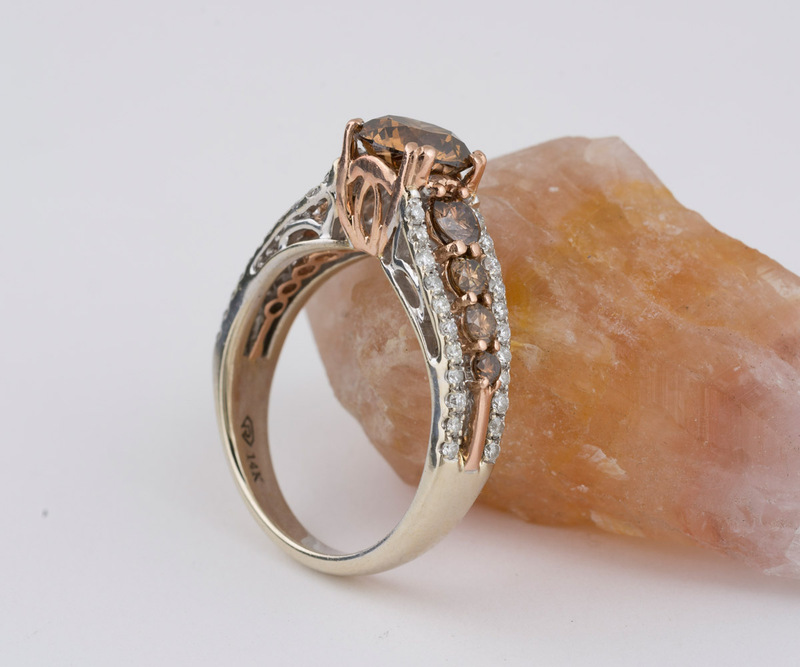 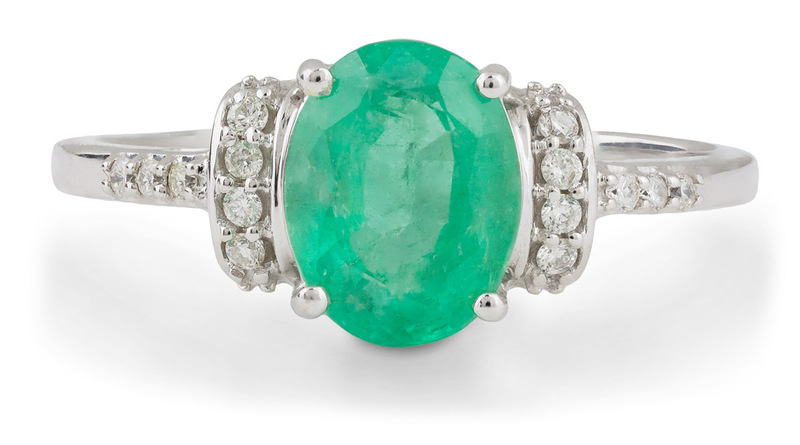 A trendy and non-traditional ring that makes an excellent gift! 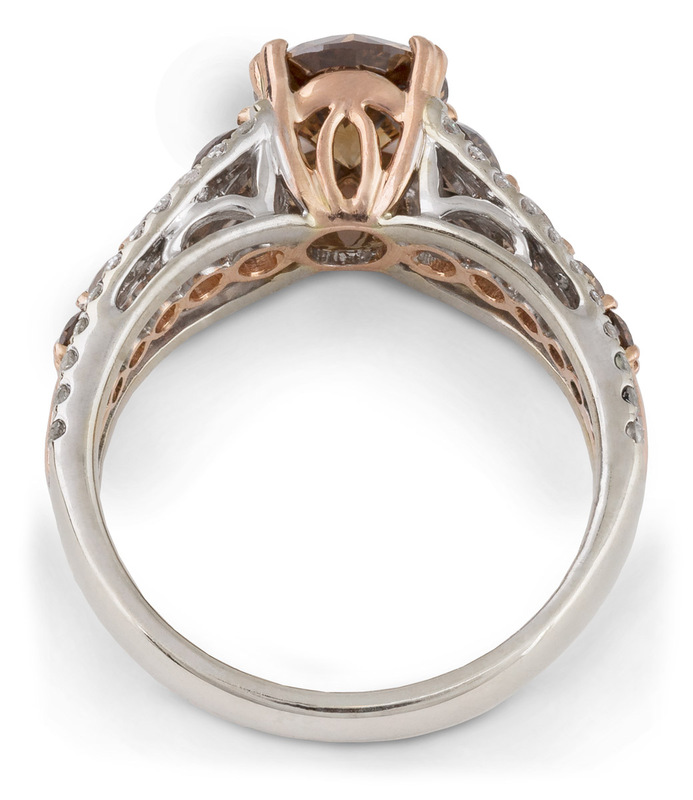 14k White Gold?, 14k Rose Gold?